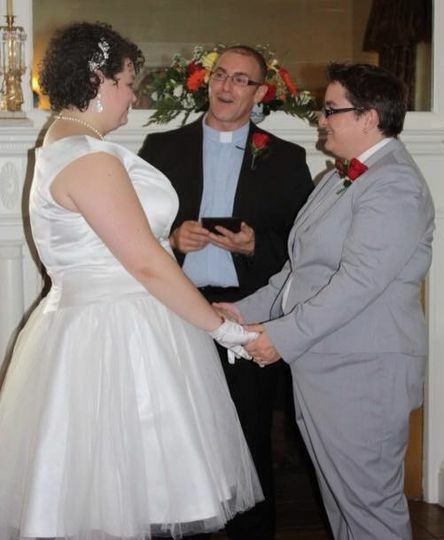 My role as your wedding officiant is to help you create a wedding ceremony with as much wonderful as your love for each other. 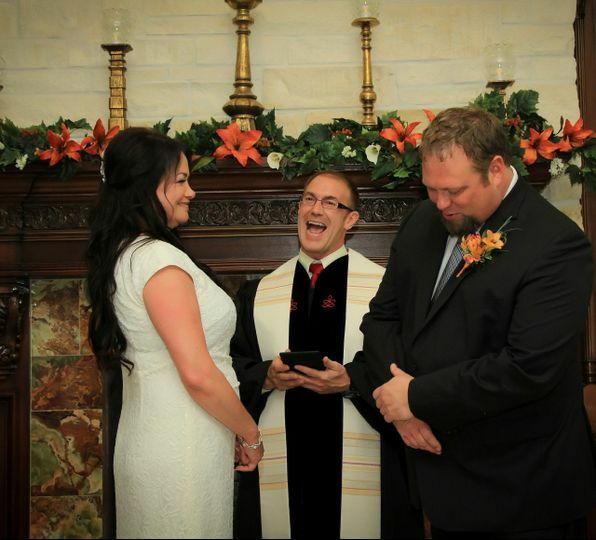 Your wedding ceremony will be a custom fit filled with awesome, reflecting your relationship. You're hiring experienced professionals for photographs, reception, music, flowers, and attire. 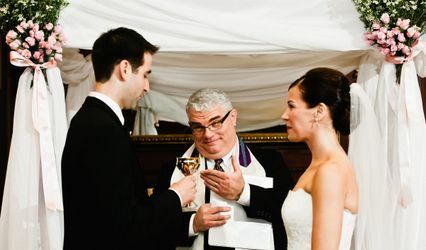 Your wedding ceremony deserves the same expert attention. 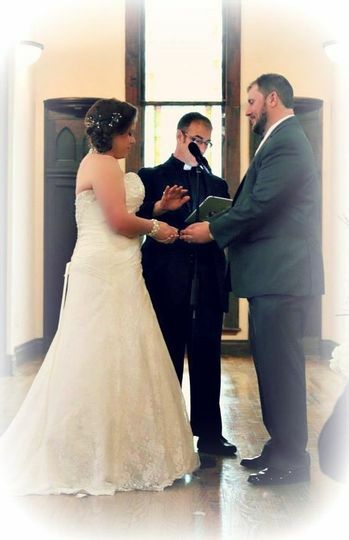 Your wedding officiant should be an experienced profession just like person taking your photos, doing your hair, and hosting your reception. 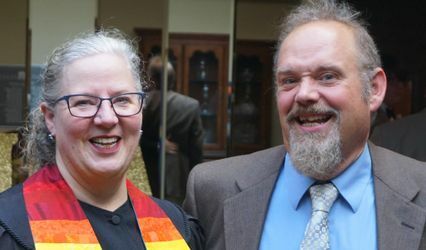 I am an ordained Unitarian minister with over 12 years experience officiating weddings. 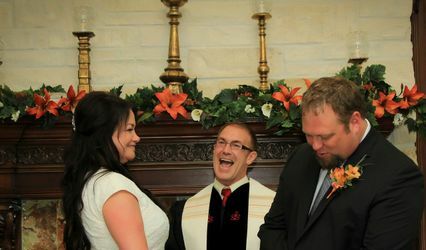 I make sure your wedding ceremony is the most amazing part of your special day. when my now-husband and i were planning on getting married, the ceremony was very important to us. 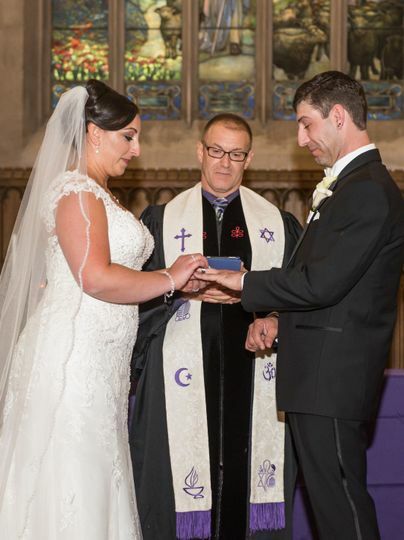 coming from Catholic backgrounds, but no longer practicing, we struggled with how to include God on our big day, without feeling like we were sacrificing our current beliefs (and, of course, needing to satisfy our parents). Rev. Tony was the answer to our prayers. he was happy to include as much or as little "God" as we wanted, and was very deliberate about it, so we always knew exactly where we stood. 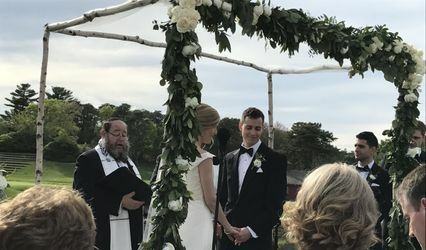 but even more than the beautiful ceremony he performed for us, i highly highly recommend utilizing his services for pre-wedding couples connection. my now-husband and i have always had a very open and communicative relationship. there wasn't hardly any territory Rev. Tony introduced that we hadn't already discussed. 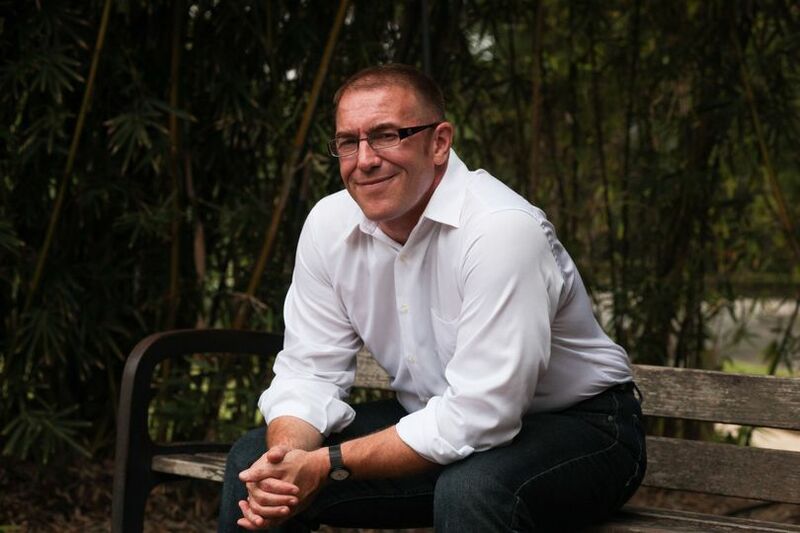 however- especially if we had not already touched on most of what he introduced, i think it would be incredibly valuable for those couples who maybe haven't had all of the conversations about what the partnership of marriage really means for the rest of your life. finally, on a personal note- i am a very demanding, type A person. i ask a lot of the people i invite into my life, and expect a lot from them. 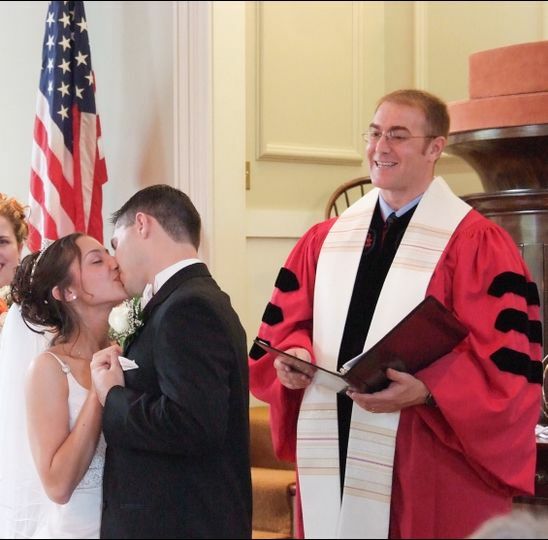 i was very discriminating in choosing all of my vendors, and i would choose Rev. Tony a million times over. he was incredibly responsive, thoughtful, respectful, fun, generous of his time and spirit, and just a pleasure to work with. if you are considering choosing Rev. Tony for your special wedding ceremony, you cannot go wrong. he will listen (and really hear) your wants and needs, and help you manage the murky, stressful process of planning a wedding ceremony. 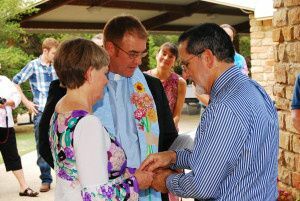 he was an advocate for us, and truly cared that we were happy with our ceremony. Rev. Tony is amazing!! He married my husband and I just over a month ago, and we are still getting compliments on how fantastic our ceremony was. He was super accommodating, working around our work schedule for meetings. He made the process so easy. He even gave us reading options to choose how our ceremony would sound. Rev. Tony let us pick everything, down to the robe he wore! His speaking voice is so professional and intelligent, he just made evrything sound so perfectly wonderful. 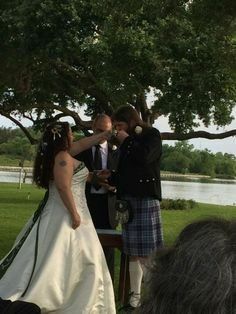 He even paused to check on us during the ceremony because i told him i would most likely be overly emotional the whole time, and as we were pulling away in the limo, he was already running our marraige license out to the mail box so we would have it back asap. I just cannot say enough about how memorable he made our day. Rev. Tony married my husband and I only 16 years ago. It was a wonderful and blessed day. Tony was so helpful. He knew just the right way to make us relaxed and enjoy the ceremony. We're so lucky to have known Tony for a long time! If your looking for someone to help you have a wonderful experience, look no further, your already here!! I will cut my fee in half for the first three couples who agree to provide photos and video of their ceremony to me for use in my promotional materials.